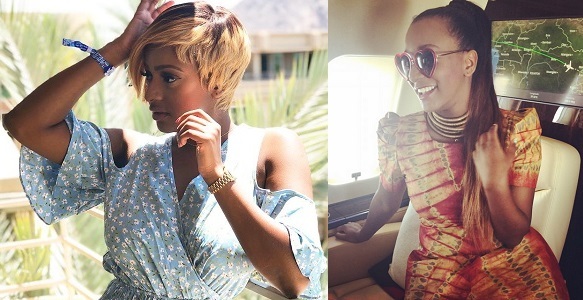 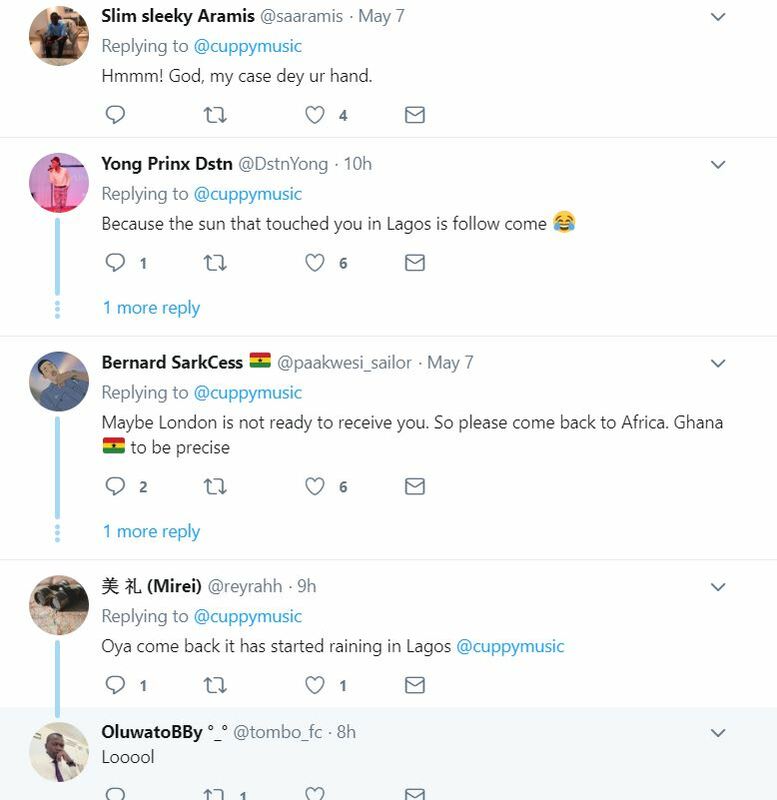 Billionaire, daughter, DJ Cuppy created a sort of scene on twitter after she tweeted about travelling from Lagos to London just to get some cool breeze. 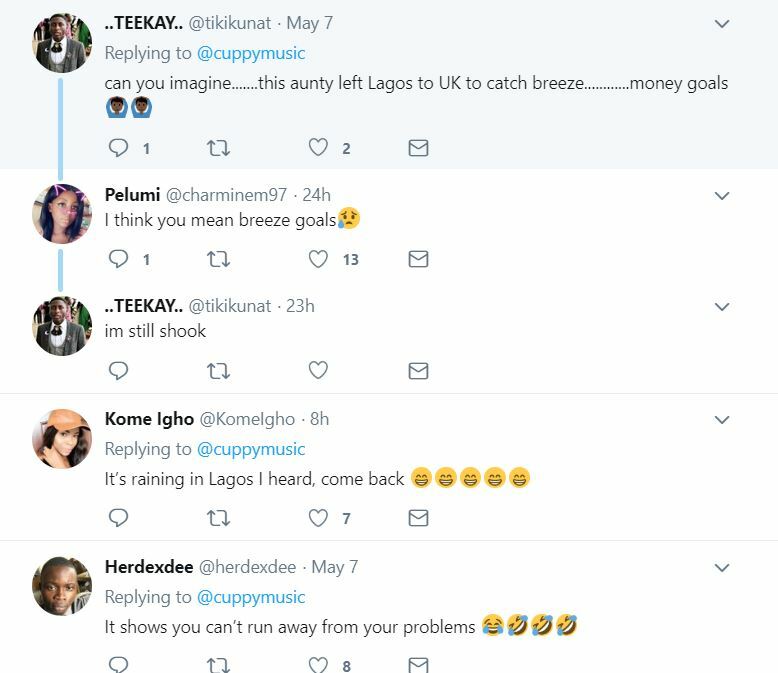 Believe Nigerians to definitely respond to her statement… I mean, who goes all the way to London from Lagos just to ‘get small breeze’?! 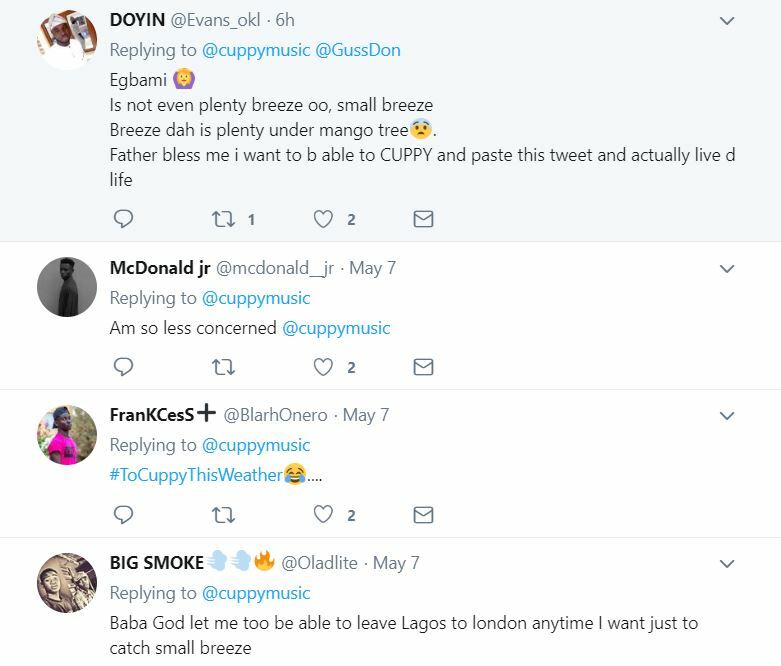 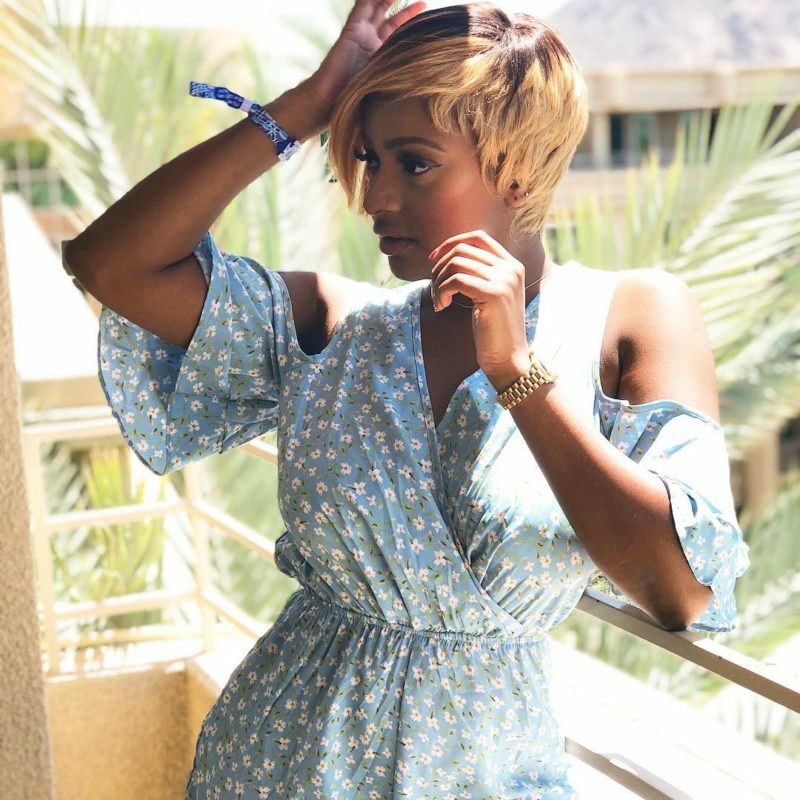 Just in case you’re wondering, here’s description of the type of guy DJ Cuppy is now interested in dating!